Pokémon Quest is an adventure game that can be played on your mobile and Nintendo Switch. In this game, players need to collect ingredients and cook delicious food to attract and befriend Pokémon. With that, they can equip them in a battle through the island and quest for treasure. As a gamer, it will be more exciting and entertaining if you play this game on a bigger screen on a computer. Let’s find out three practical ways you can play Pokémon Quest on PC. 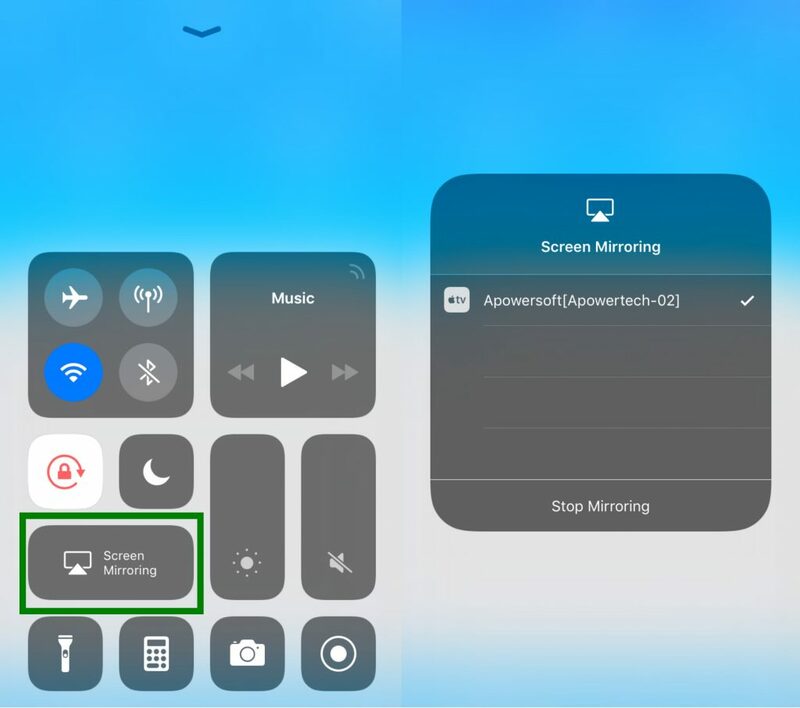 ApowerMirror is a useful screen mirroring application that can help to play games on your PC, such as Pokémon Quest, Playerunknown’s Battlegrounds, League of Legends, Harry Potter: Hogwarts Mystery and a lot more. It also allows you to watch movies or videos on a big screen and stream music from your mobile phone to PC. This program is completely compatible with Windows PC, macOS, Android and iOS devices. Also, you can take full control of your Android device with your mouse and keyboard. 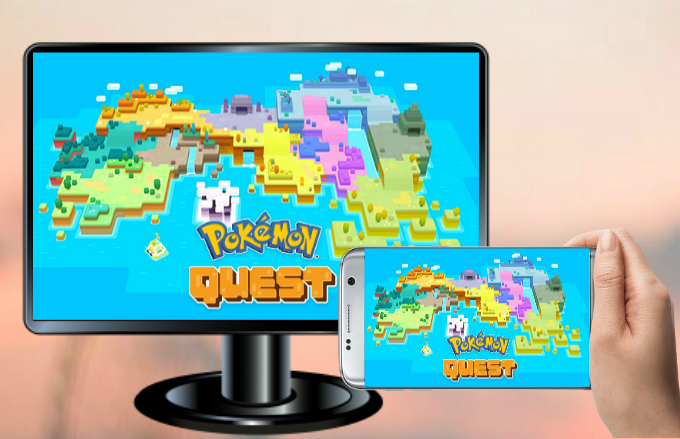 Proceed to see how to play Pokémon Quest on PC with ApowerMirror. Go to Google Play Store and search the name of the application “ApowerMirror” and then install it. Afterwards, launch the program on your computer and your phone. Tap the “M” blue button on your phone then it will start detecting available devices. Once detected, tap the name of your PC and then hit “Phone Screen Mirroring”. Install the tool program from the App Store. Run the program on your iOS and your PC. Hit the “M” button on your iOS device. 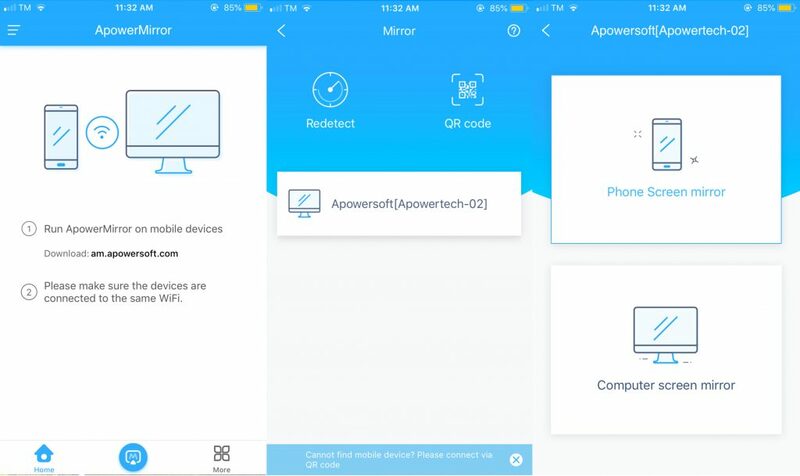 From there, tap the name of your computer that displays Apowersoft. Next, tap the “Phone Screen Mirror”. Swipe up your phone’s screen to open the Control Center. Hit the “Screen Mirroring” button and choose the name of the PC. When your phone is reflected on your pc, open Pokémon Quest to start playing. 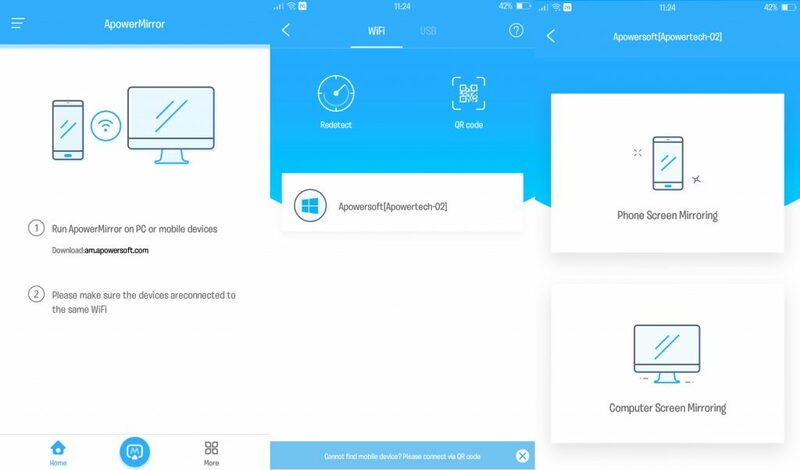 Note: Make sure both mobile device and PC are connected with the same Wi-Fi network. Apart from that, you can record your phone screen and take screenshots while playing the game. This program permits you to use the whiteboard marker to draw lines, shapes, figures and so on. 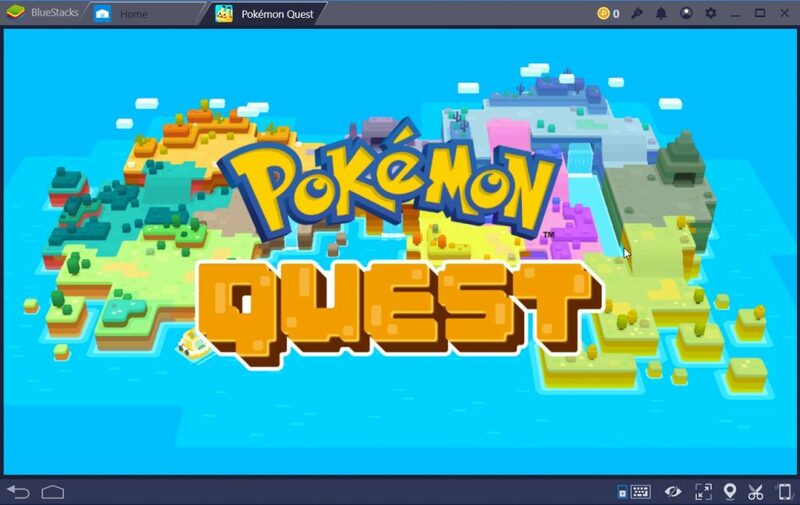 To play Pokémon Quest on computer, you can also use BlueStacks. This is an Android Emulator that allows you to install applications on your PC without paying a single cent. With it, you can play your favorite Android games on PC without any difficulty. In addition, it has a simple interface, which allows you to manage your apps easily and quickly. Follow the steps below to play Pokémon Quest on a big screen. First, download and install the software on your computer. Next, log in to your Google Account to access and sync applications from the Google Play Store on your computer. Search for the game Pokémon Quest and install it on your PC. After the installation, launch the game, then you can start playing it freely. Another alternative to play Pokémon Quest on a computer is using Nox Player. This is a free Android Emulator that works perfectly on your Windows PC and Mac. In this way, gamers can enjoy playing their favorite games on their Android device on a bigger screen. Moreover, this program supports keymapping, wherein you can control your games or applications easily. Proceed to see how to play Pokémon Quest on PC using this app. Download the program on its official webpage and install it on your computer. On the main interface of the tool, go to the Google Play Store and log in to your Google account. 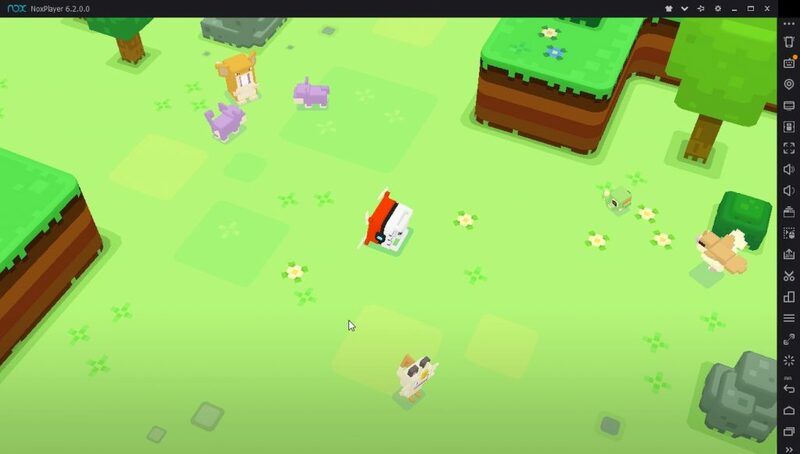 Type Pokémon Quest in the search bar and install the game. Once the installation is done, open Pokémon Quest, and you can play it now. As mentioned, the programs presented are beneficial and practical for you to run Pokémon Quest on PC. With the help of these tools, you can also experience playing other favorite Android games and applications on a bigger screen. Meanwhile, ApowerMirror has some additional features like recording, screenshots, and markup tools, which will surely help you in playing or recording gameplay on PC.